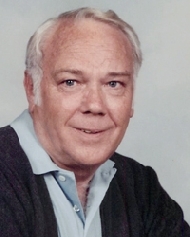 Wayne Houghtaling obituary. Carnes Funeral Home. Aug 14, 2018 Lit by ~ John E Macrini Sr.
Wayne Houghtaling passed away on August 11, 2018 in La Marque, Texas. He was born in La Feria, Texas on February 9, 1935 and is a long-time resident of Galveston County. Wayne played baseball through high school. Following school, he went semi-pro as a second baseman and pitcher in his younger years in Brownsville, Texas. He is preceded in death by parents, Paul and Alice Gilmore Houghtaling. Left to remember this wonderful man is loving partner of forty-one years, Charlene Aldridge, two step-sons, John C. and Scott W. Aldridge; two step-daughters, Diana L. Rivrovato and Kathy J. Larsen (Barry); eight grandchildren and eight great-grandchildren. The family will receive guests 10:00 am Wednesday, August 15, 2018 with Funeral Services to follow at 11:00 am at Carnes Funeral Home-Texas City, 3100 Gulf Freeway, TX 77591.